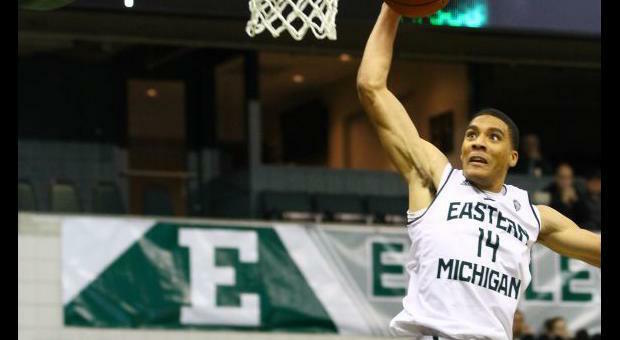 The last time Eastern Michigan University was this big in basketball, they were led by the biggest little player in the game. 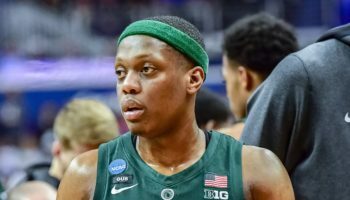 Last week, the Eagles went into Ann Arbor and defeated Big Brother, the Michigan Wolverines, 45-42 to move to 8-1 on the season, its best start to a campaign since the 1995-96 team, led by 5-foot-5 Earl Boykins, went 15-1 on its way to the NCAA Tournament and a first-round tourney win over Duke. EMU’s only loss of this season came to Dayton, a team that made last season’s Elite Eight. Detroit native and former Syracuse assistant coach Rob Murphy has the Eagles flying high because of his team’s extraordinarily stingy defense. Taking a page from former mentor Jim Boeheim, Eastern Michigan is running its 2-3 zone to near perfection, as opponents are shooting less than 36 percent from the field. Last Tuesday against the Wolverines, they held the Maize and Blue to only 14 field goal makes for the entire game, including forcing Michigan to shoot 5-for-19 in the first half. Though EMU only made one more field goal attempt than Michigan in the entire game (15), their defense thoroughly did to Michigan what they’ve done to the rest of its opponents all season: force long, contested, low-percentage shots. Cynics may point out Eastern Michigan’s home-friendly schedule (seven of their first nine games were at home) and subpar offensive shooting numbers as cause to doubt future longterm success. But if defense wins championships, the Eagles could give prohibitive preseason favorite Toledo a run for its money in claiming the MAC Championship.. 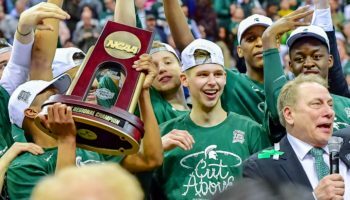 The Eagles also have a chance to knock off the other college basketball leviathan in the state of Michigan, as they travel to East Lansing to take on Michigan State on Wednesday. Win that game, and could we be possibly talking about the Eagles as a legitimate at-large contender for the NCAA Tournament? 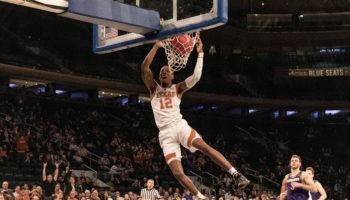 No Ivy League player has been named an Associated Press All-America since Princeton’s Brian Taylor, one of the first true three-point threats in the NBA when the three-point arc was first instituted, was tabbed as a third-team All-America back in 1972. Harvard’s Wesley Saunders has as good a chance as any in recent memory to break into that elite stratum while carrying the Ivy League banner. 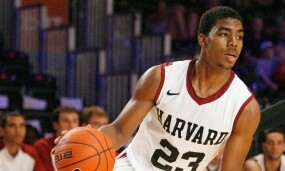 Once again, Harvard is off to an impressive start at 7-1, even though its only loss came to Holy Cross back on Nov. 16. The steady leadership from point guard Siyani Chambers and the return of big man Kenyatta Smith from injury have been key to the start of the season, but Saunders, the senior swingman from Los Angeles, is putting up numbers that would have to be described as utterly ridiculous. 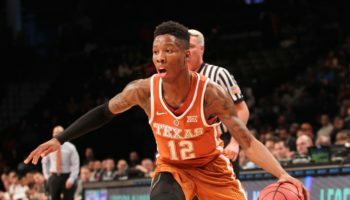 Saunders’ per game averages: 20.5 points, 7.0 rebounds, 4.5 assists, 2.8 steals, 55% FG, 47% 3-PT, 84% FT.
Looks like All-America numbers, right? While some of the games Harvard has played have been against less-than-elite competition, Saunders saved his best game for the highest-profile game Harvard has had to date, scoring 27 points in a 75-73 victory over 2014 NCAA Tournament participant Massachusetts on Nov. 29. In a double-overtime victory over Vermont on Dec. 6, Saunders had seven steals to go along with six rebounds, three assists and 25 points. With Harvard appearing in each of the last three NCAA Tournaments and winning a game in it in each of the last two years, Saunders should get the exposure needed to cause All-America voters to seriously consider his exploits. On Sunday, Saunders can take a huge step towards a possible All-America campaign when the Crimson visit Charlottesville to take on sixth-ranked Virginia. 3. Purple Reign…or Purple Haze? The question, “How good is TCU?” now just doesn’t apply to the football team. Honestly speaking, we’ve known how good the TCU football team has been for a while, and the 11-1 Horned Frogs are getting ready to take on Ole Miss in the Peach Bowl, one of the New Years’ Six elite bowl games. But will the TCU basketball team end its season in the showcase event of its sport, the NCAA Tournament? Trent Johnson’s team has gotten off to a 10-0 start, one of nine teams still undefeated in Division I. But the competition, let’s just say, has left a lot to be desired. Outside of a couple of wins against a couple of middling SEC teams, Mississippi State and Ole Miss, here’s the rest of the Horned Frogs’ hit list this season: Prairie View, Washington State, New Orleans, Mississippi Valley State, Radford, Bradley, Furman and McNeese State. Not necessarily Murderers’ Row. But 10-0 is 10-0, and for a school that has not appeared in the NCAA Tournament since Billy Tubbs coached the team in 1998, and has not won an NCAA Tournament game since 1987, they’ll more than take it. The key to the team has been its balance, as six players average at least seven points per game. Only one player, senior 5-11 guard Kyan Anderson, is averaging in double figures in scoring (12.5). Because of the soft-serve non-conference schedule, the Horned Frogs must make hay in Big 12 conference play to seriously be considered for an NCAA bid, which could prove to be a double-edged sword. The opportunities to earn impressive victories in the league will be numerous, but the strength of the conference is such that TCU could be in for a rude awakening once the calendar turns to January. It’s great to see 2013 Naismith Hall of Fame Inductee Sylvia Hatchell back on the sidelines for the North Carolina Tar Heels’ women’s basketball team. 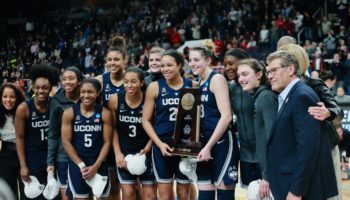 At this time last year, Hatchell was in the middle of her fight against acute myeloid leukemia, a disease she was diagnosed with in October 2013, just months after her induction into the Hall of Fame. The entire interview will be part of the latest edition of “The ALOST Podcast,” but here’s our conversation about her team this season, with the Tar Heels already defeating four ranked teams this season, most in women’s basketball so far this season. Men: Harvard at No. 6 Virginia, 12:00 PM ET, Sunday: Could an Ivy League team earn an at-large bid, if it came down to that? The Crimson, heavy favorites to win the Ivy for a fourth consecutive season, travel to Virginia in hopes to come away with its biggest regular-season win in school history against the Cavaliers. Remember that in 2011, Harvard lost to Princeton in the one-game playoff to earn the Ivy League bid to the NCAA Tournament but had a legitimate shot at an at-large bid because of its more than respectable RPI. (Harvard eventually was not selected for the 2011 tourney.) Virginia looks to be an even better team than last season’s ACC regular season and conference tournament champions, and a game against Harvard is exactly the type of challenge a Final Four contender needs right before conference play. Women: No. 19 Syracuse vs. No. 9 Baylor (in Winter Park, FL), 7:00 PM ET, Friday: Can Syracuse finish off a top-ranked team this time around? On Nov. 28 in the Bahamas, the Orange led No. 1 South Carolina by 10 with 6:43 to go, only for the Gamecocks to end the game on an 18-4 run and escape Syracuse’s upset bid with a 67-63 win. Since its only loss to Kentucky on Nov. 17, Baylor has averaged 94.4 points in its last seven games played. Baylor averages 91.8 points on the season, with Nina Davis accounting for 23.3 of those.